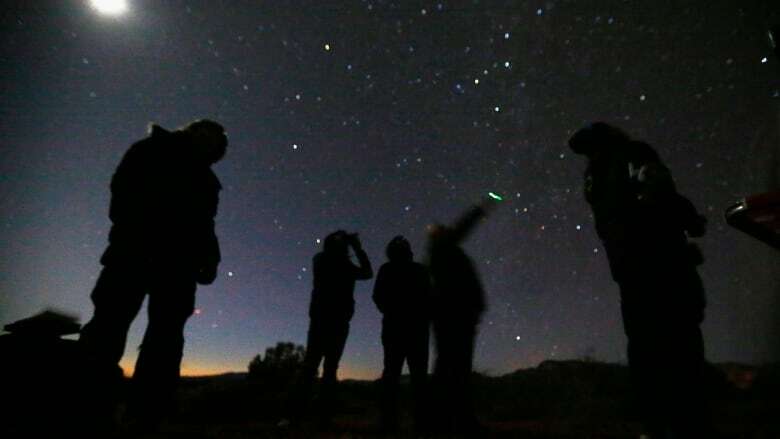 Seven First Nations reported unidentified flying objects in 2016, according to an annual survey by Winnipeg-based Ufology Research. Three of those sightings were on Walpole Island — located over 250 kilometres southwest of Toronto — according to the 2016 Canadian UFO Survey, which lists 1,131 reports from across the country. The incidents in Walpole Island include someone reporting a "bright light remaining in one area but moving up and down slightly" on the evening of Jan. 3, 2016. On Jan. 4, 2016 someone in Kahnawake reported seeing a "large yellow pyramid hovering in the sky" over the Mohawk community, located near Montreal. Most of the 2016 sightings reported by First Nations were in Ontario and Quebec, including one on the Sagamok First Nation on May 27, when someone there spotted a "bright light moving very fast before disappearing." Someone in Wikwemikong, located on Manitoulin Island in Ontario, reported seeing an "object flying past the moon with no sound in a straight line" on July 19. But there was also a sighting in La Ronge, a northern Saskatchewan town where most of the residents are Cree or Métis. According to the document, someone reported witnessing "seven lights moving in the sky" on Nov. 10. And a report from Iqaluit said someone saw "many star-like lights flying together" on Sept. 16. The Canadian UFO Survey has been compiled annually since 1989 by Ufology Research of Manitoba. The group said 18,038 sightings across Canada have been catalogued since the survey began.